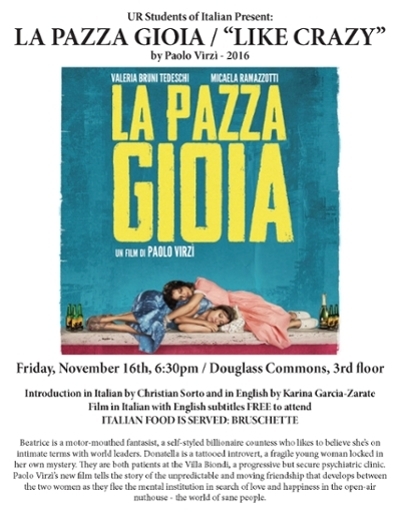 LA PAZZA GIOIA / "Like Crazy"
Beatrice is a motor-mouthed fantasist, a self-styled billionaire countess who likes to believe she’s on intimate terms with world leaders. Donatella is a tattooed introvert, a fragile young woman locked in her own mystery. They are both patients at the Villa Biondi, a progressive but secure psychiatric clinic. Paolo Virzì’s new film tells the story of the unpredictable and moving friendship that develops between the two women as they flee the mental institution in search of love and happiness in the open-air nuthouse - the world of sane people.